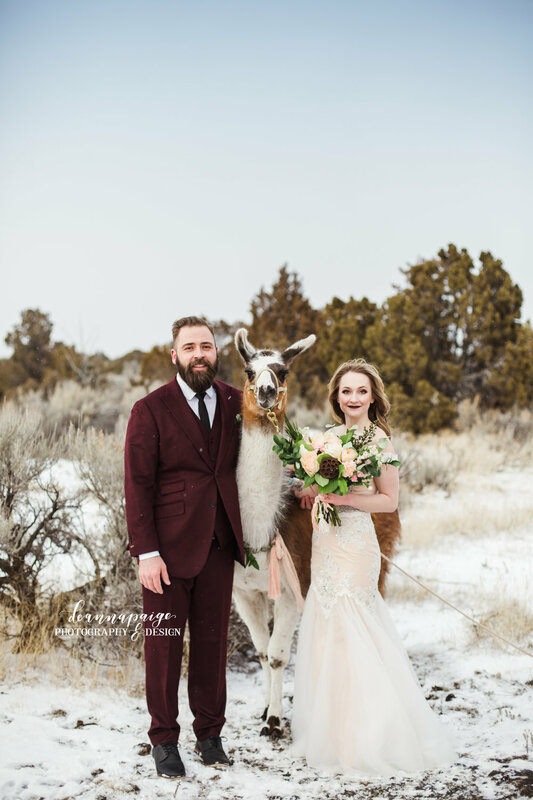 What more could you ask for that a llama elopement? For their 6 months of marriage we decided to do a styled elopement/wedding vow renewal. It was one of the coldest days I have ever shot a "wedding" in my whole career. Everyone was a champ about it though! It was windy, snowing and freaking freezing cold. I wanted to create something unique and fun so I thought, llamas! We borrowed them from a kind elderly couple that lived in town. Due to the weather we were not only short on time but we were also limited to what we could put out, but it really came together. Take a look and tell me what you think!